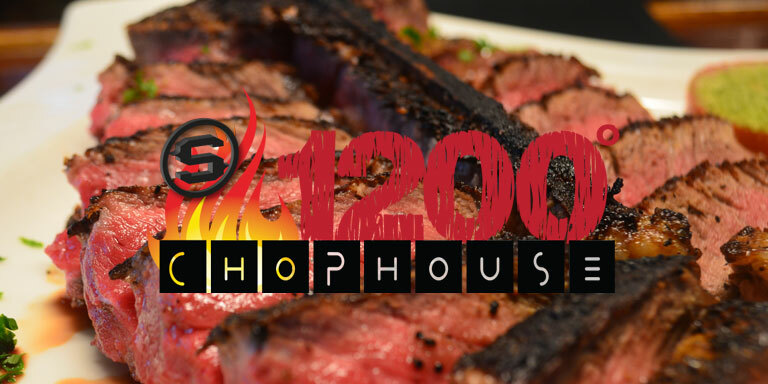 1200° Chophouse does not accept reservations. Can you describe your wine list? 1200° Chophouse proudly features an excellent selection of vintages by the glass or bottle. Our wine pricing is very reasonable and our professional staff will happily pair our wines and beers to enhance your dining experience. Our restaurant has been recognized by the Tampa Bay Times (February 2015) as one of the Top 50 Best Tampa Bay Restaurants. Trip Advisor lists 1200° Chophouse as a Top 1% Restaurant in the entire St. Petersburg area. We were also featured in the April 2014 issue of Nation’s Restaurant News. We’re open from 5:00 p.m. to 10:00 p.m., 7 days a week. We are only closed Super Bowl Sunday, Thanksgiving Day and Christmas Day. As a St. Pete Beach restaurant, we do not have a formal dress code. Do you offer a carry out service? All parts of the menu are available for take-out. During Dinner Hours, wait times can sometimes be long as we accommodate our dine-in guests. Yes. Currently they are offered only in person. In the coming months we plan to offer gift cards available for purchase through this site. Yes as many of our items are gluten-free. Our professional staff will gladly accommodate all dietary needs. .
Our parking is free with a limited number of spaces. Are you open on major holidays? Yes. We are only closed Super Bowl Sunday, Thanksgiving Day and Christmas Day.